Last week my husband and I decided to visit my youngest son at the beach. 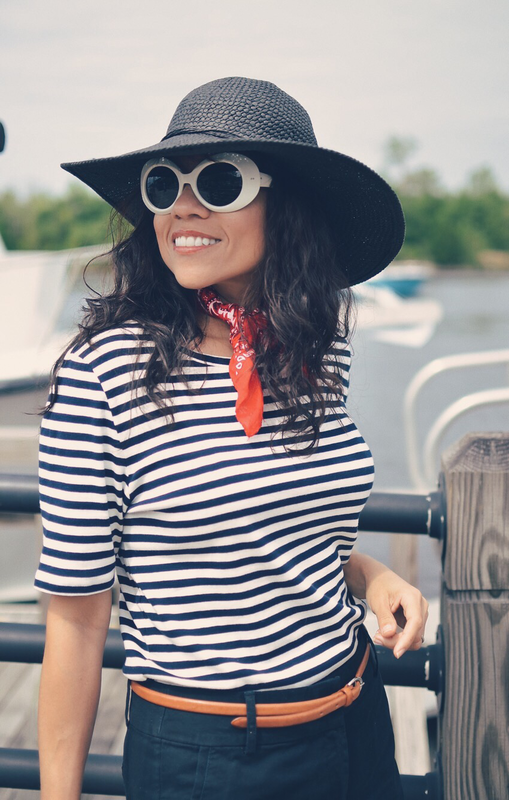 The weather was more than extraordinary at the coastal area of North Carolina, therefore, a photo shoot was a must. 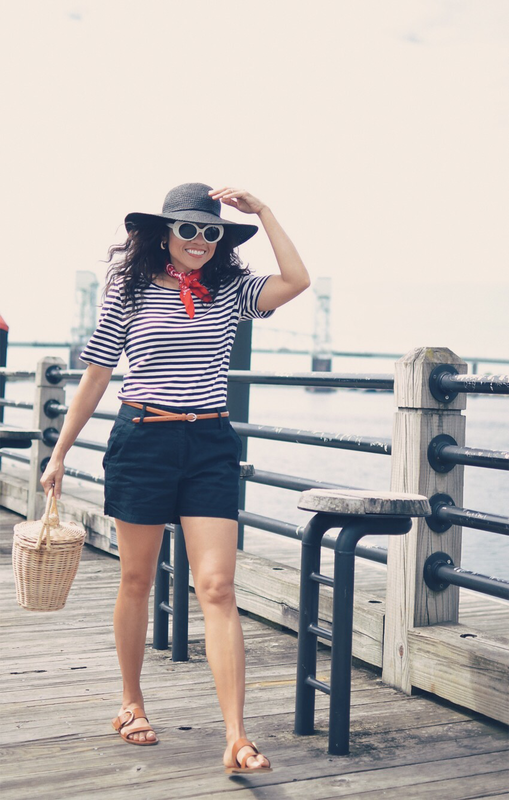 Before heading to bare our toes in the sand, we stopped by the River Walk in Wilmington where this photoshoot was taken. 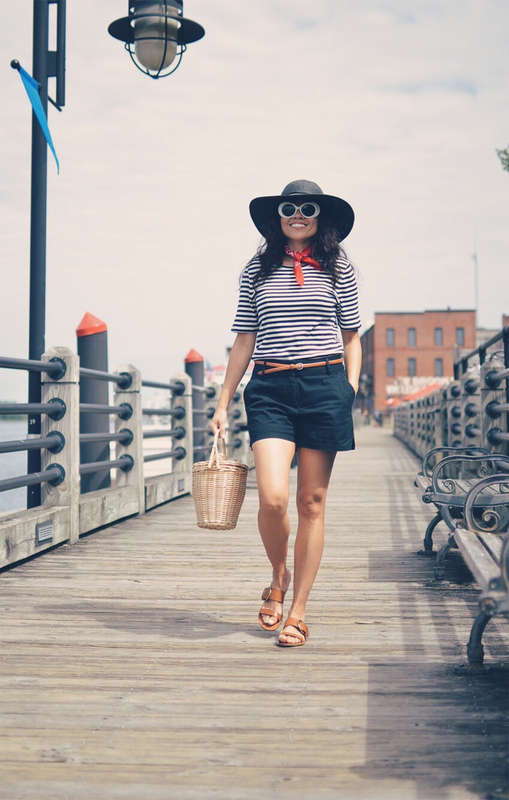 I often get inspired by vintage photos from the Italian and French Rivieras and with that inspiration in mind, I decided to wear a modern/retro nautical look for this trip. 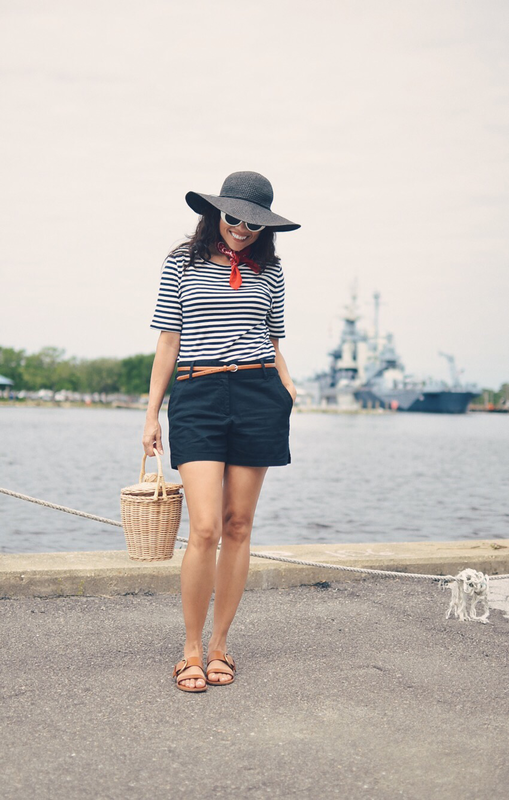 I wanted to be comfortable in order to walk around town with my youngest son and husband, but at the same time, I wanted to wear something chic that matched the coastal ambient. 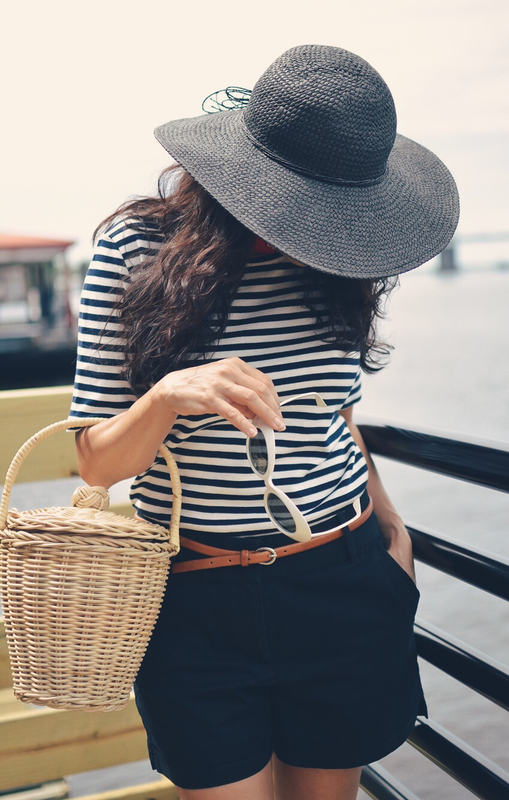 As you can see, I've been wearing my vintage white sunglasses and my basket bag non-stop since I bought them. 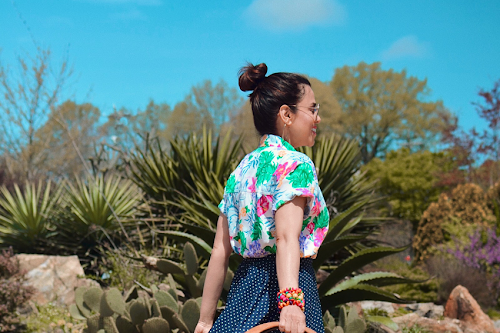 Those two accessories are truly refreshing my Spring/Summer wardrobe, and let's not forget about my chic buckled sandals. Those were a true investment, which I'm planning to wear for years to come. I don't know if you noticed, but I applied a retro-style filter to the photos in order to make them look vintage. 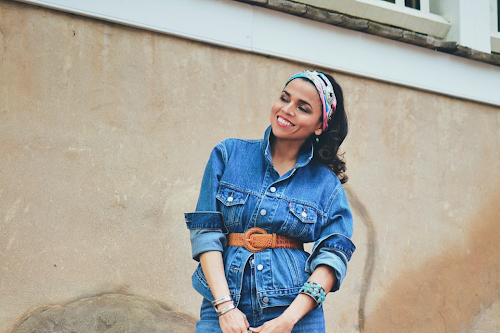 What I love the most about this entire photo shoot besides the beautiful area, is the retro-meets-modern vibe of my outfit. 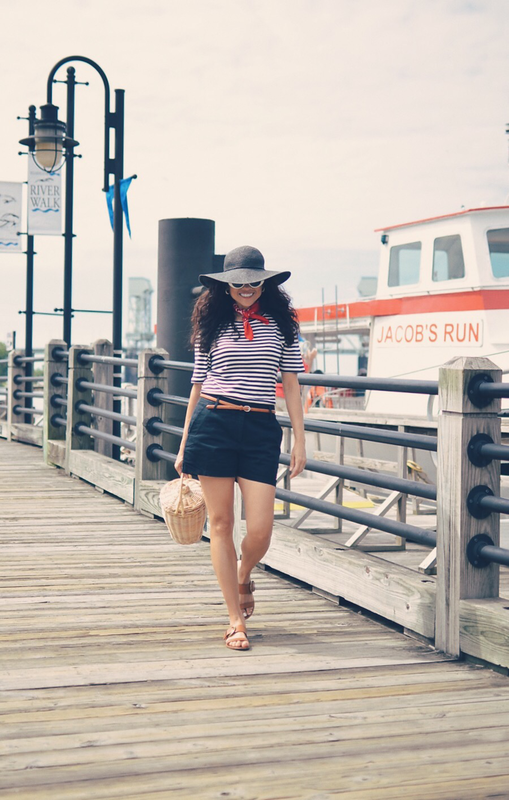 The vintage hat and sunglasses gave this preppy modern look a delightful vintage flare. 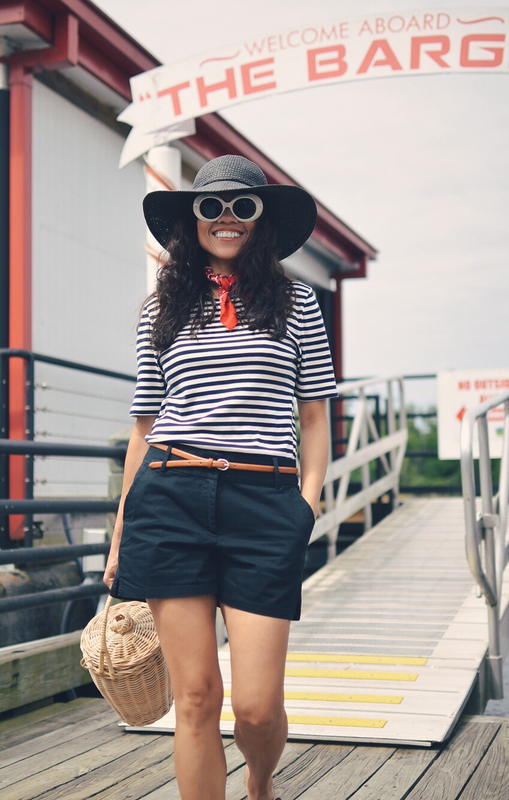 T-shirt: J.Crew/Shorts: Loft/Sandals: M.Gemi/Basket: UO (sold out) Similar/Sunglasses: Vintage. Similar/Hat: Vintage. Similar here and here. Another look to love! 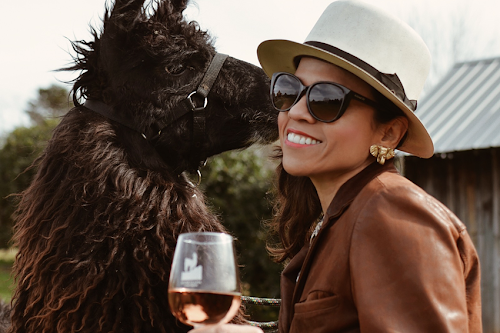 Thanks for showing this over-40 woman how to look fashionable and fun. I especially love how you take items that we may already have in our closets and style them in a fresh, new way. You are so inspiring! Thanks so much, Cathy! I really appreciate your comment and I'm very glad you enjoyed this look. I love this whole outfit! 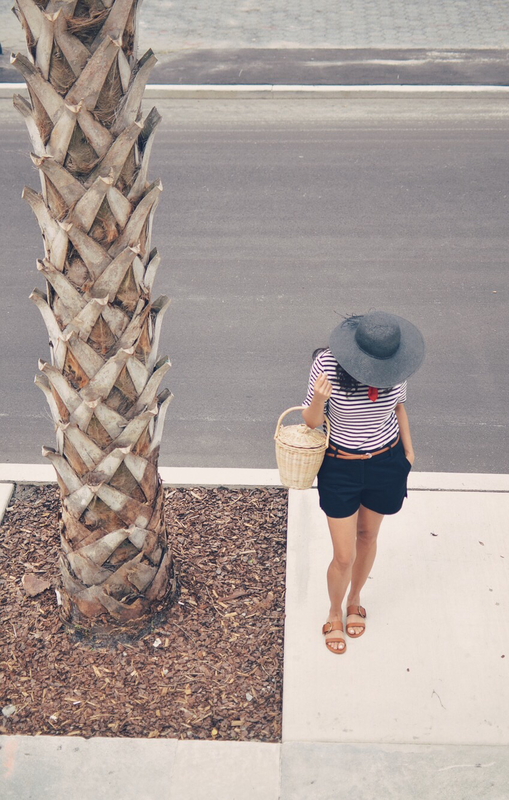 The navy blue and white combination with the pop of red is just perfect. Great choice! Thanks so much, Julie!! 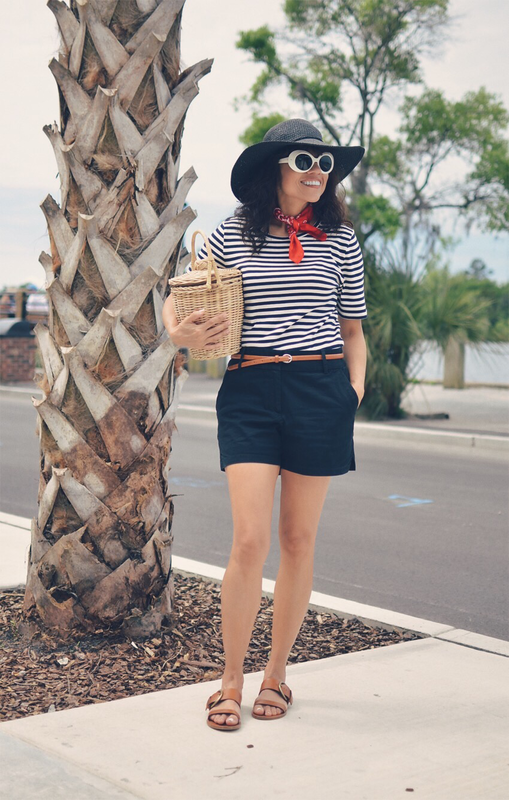 Nautical colors are my favorites.